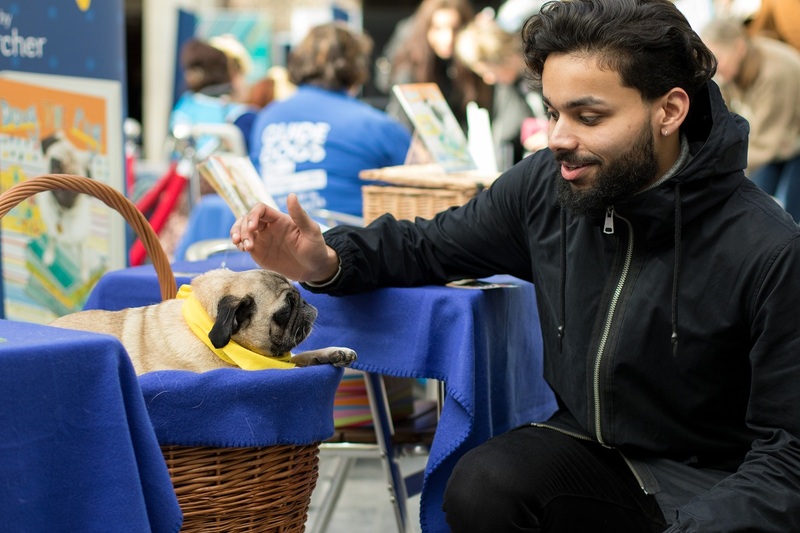 Devised by Child Health lecturer Jenny Philips, the event hosted guest speakers from Guide Dogs For The Blind, Hearing Dogs For The Deaf, Pets As Therapy, and Riding for the Disabled. Attendees also had the opportunity to meet the university canine assistant teachers. The programme was created in response to student feedback, where Middlesex students studying subjects as diverse as dance, business and nursing highlighted that they really enjoyed previous inter-professional learning (IPL) sessions but wanted to increase the amount of time, number of speakers and number of animals who attended. “They really enjoyed interacting with animals and learning from external speakers in an engaging way,” says Jenny. Jenny is also a Link Lecturer at Holmewood School in Woodside Park, which supports seven- to nineteen-year-olds with high-functioning autism, Asperger’s Syndrome and other language, communication and social difficulties. She asked the pupils to produce artwork that expressed the meaning of animals in their lives, over 30 pieces of which were exhibited at the event. “I’m keen to instil in Holmewood pupils that MDX is an inclusive university and part of their community,” says Jenny. “They’re welcome to display their art here, meet their friends here, and if they want to study here in later life, we will support them. Jenny is currently carrying out research to investigate the therapeutic use of animals for stressed students sitting exams and its potential impact on results.